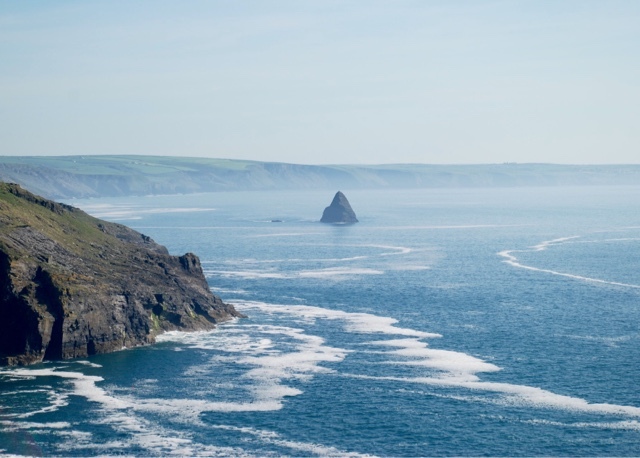 During our stay at the St Moritz in Trebetherick, we ventured north, along the Cornish coast in search of a romantic legend. Bring King Arthur in mind. Excalibur and The Round Table. Camelot and Merlin. 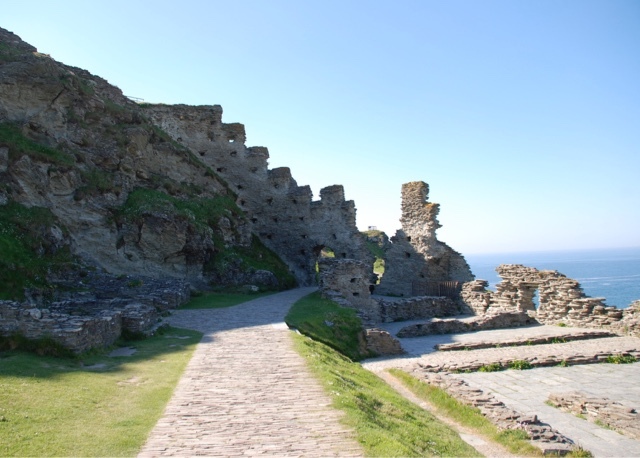 Legends and mythical stories: welcome to Tintagel! 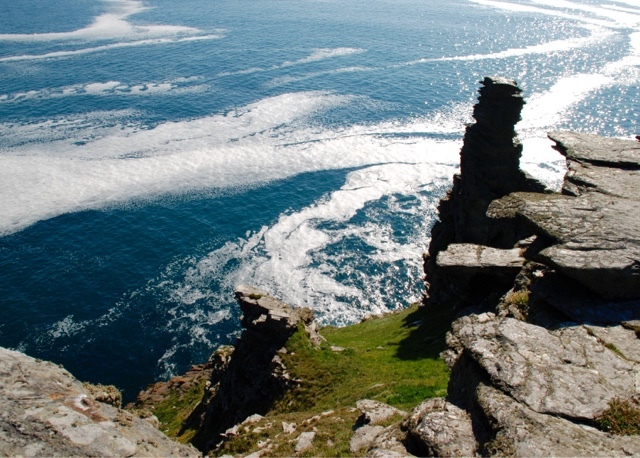 On a crisp, sunny day, the medieval island town of Tintagel stands proudly amongst the ever-battling waves. It is spectacular! Needless to say that every single shop in Tintagel is taking full advantage of Merlin and his crystals; Ignore all that for now. 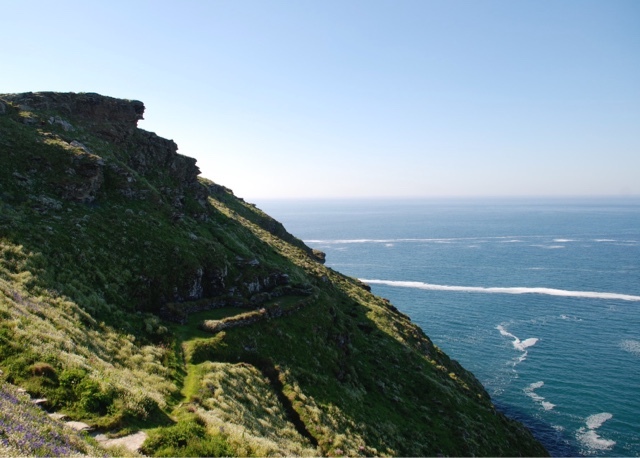 Leave the village behind and head down to the entrance of the island fortress...oh that’s when you take a big breath in! The magnificent island-town towers above the deep blue waters and dark sharp-edged caves. 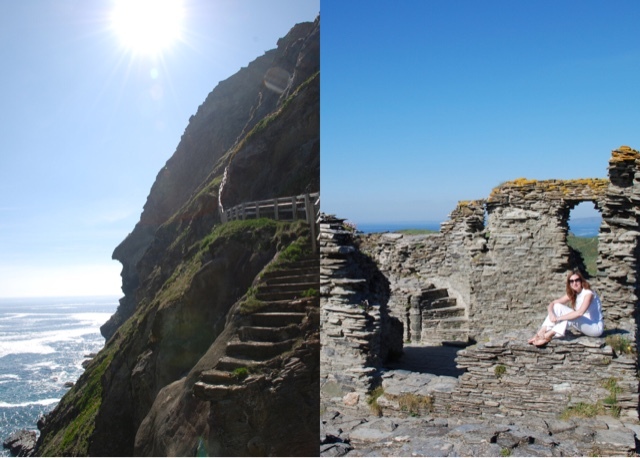 If Merlin did even go close to those caves, there is no doubt as to why his practices inspired such a mystic aura. The air is cool down there and the shadows seem even darker after you’ve been in the sunshine. 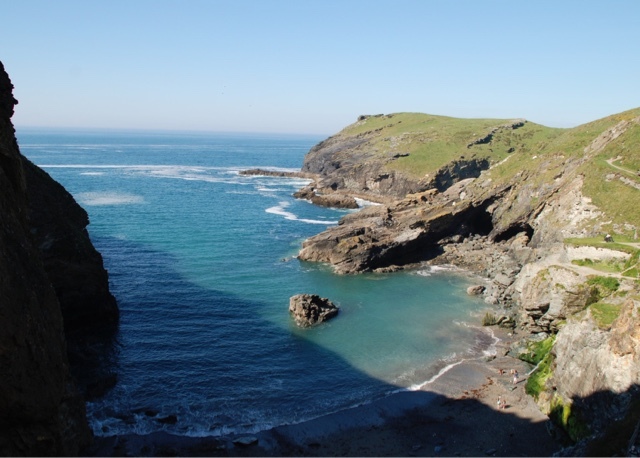 Dark caves at the entrance of Tintagel, could Merlin have used them for his magic? Greenery now covers what is left of an ancient monastery or- for the believers - King Arthur’s birthplace castle. 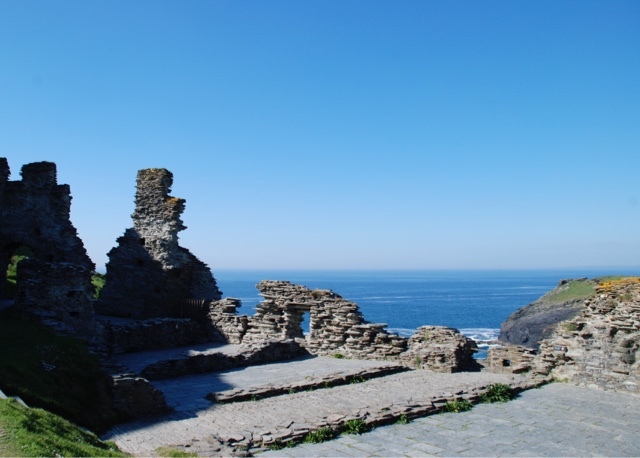 According to legend, King Arthur was conceived and born in Tintagel, but there is no definitive proof. 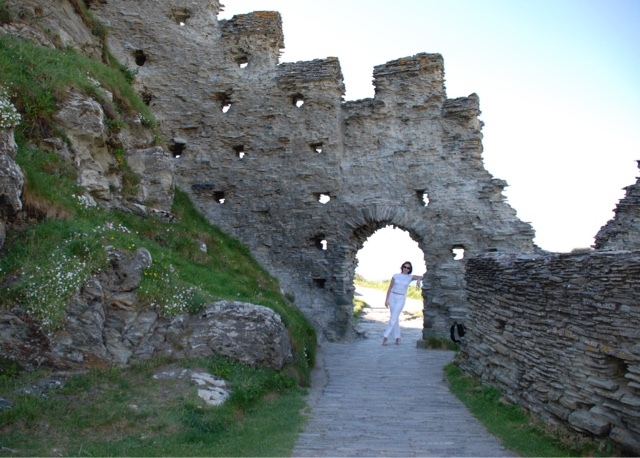 Stories go on to identify Tintagel as the location of mythical Camelot too, but other stories place it at Winchester or Colchester. Who knows, it's fun to play archaeologist for the day! Once you’ve taken all that in, there is the tiny passageway connecting the mainland to the island, from where you slowly transcend to a noble world. Then a steep staircase rises to the sun. It looks as if it was made by giants, the steps are so high. 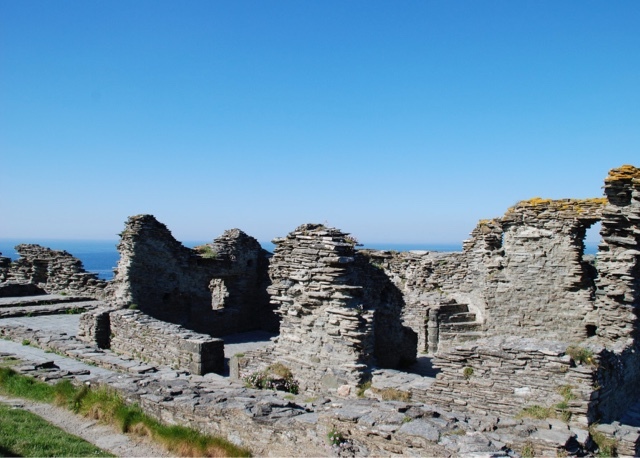 The medieval houses stand in ruins, but there is enough still standing to spark your imagination. 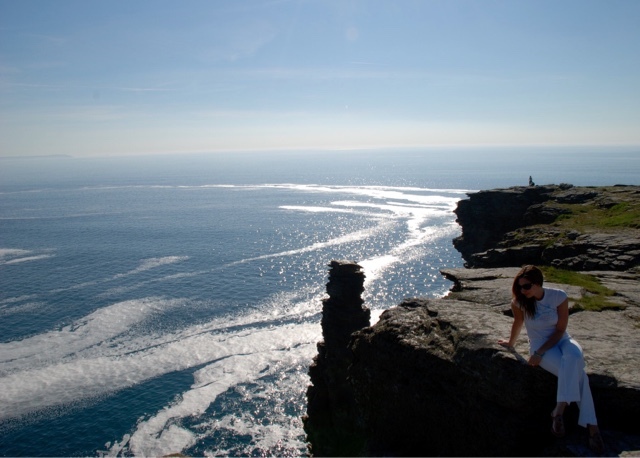 when you reach the top of the island though and have a 360 degree view of the Atlantic, everything makes sense. There is a strange silence up there although waves endlessly crush on the base of the rock, still you feel like king of the castle. so refreshing after a hot day’s climbing and trekking. We headed back up to the village, sat outside at one of the pubs and felt absolutely content and utterly exhausted after climbing up and down stairs and passageways in scorching hot sunshine. That pint, went down a treat!